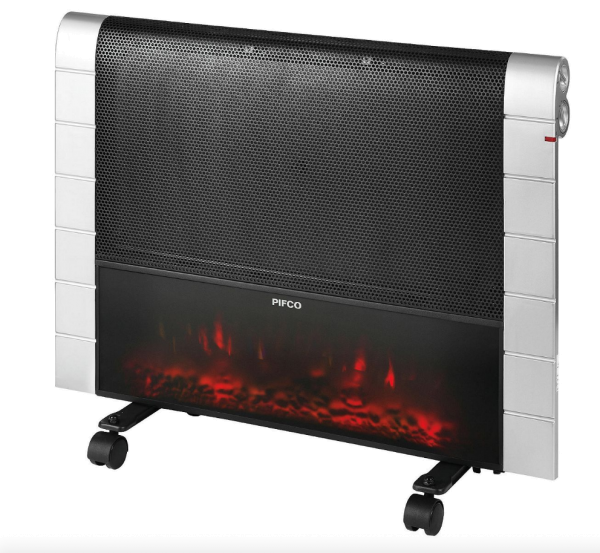 Product information "Pifco P46010 1200W Flat Panel Heater"
Designed in a contemporary fashion, the 1200W flat panel heater produces a flame log effect. The glass-fronted P46010 features a micathermic heating element with an adjustable thermostat to suit the condition of your home. For added safety, the heater has an overheat protection facility. The free-standing heater from Pifco can also be wall-mounted. Related links to "Pifco P46010 1200W Flat Panel Heater"
Customer evaluation for "Pifco P46010 1200W Flat Panel Heater"